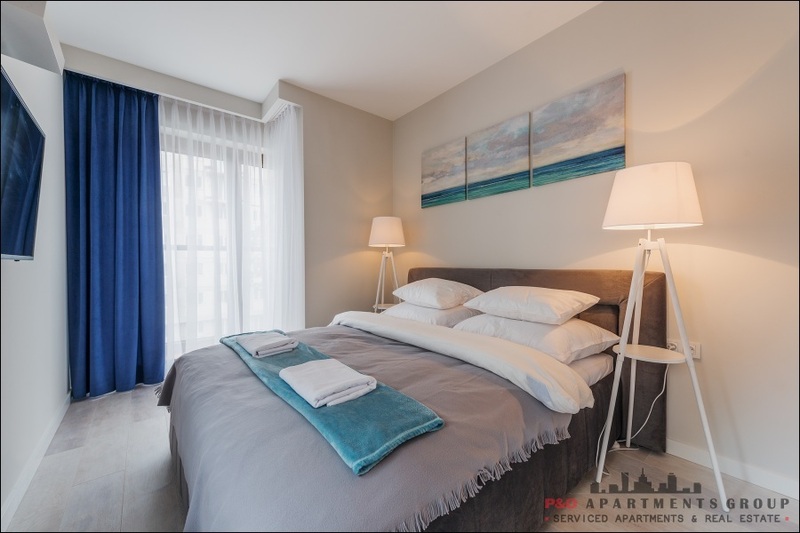 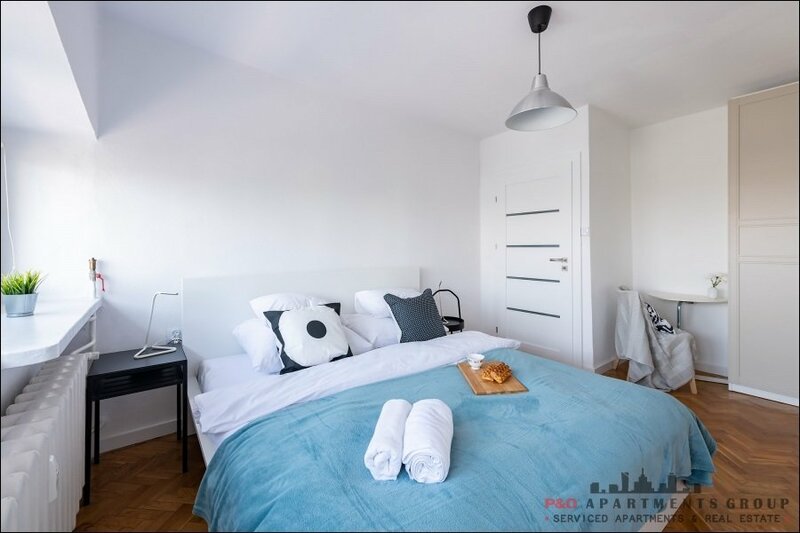 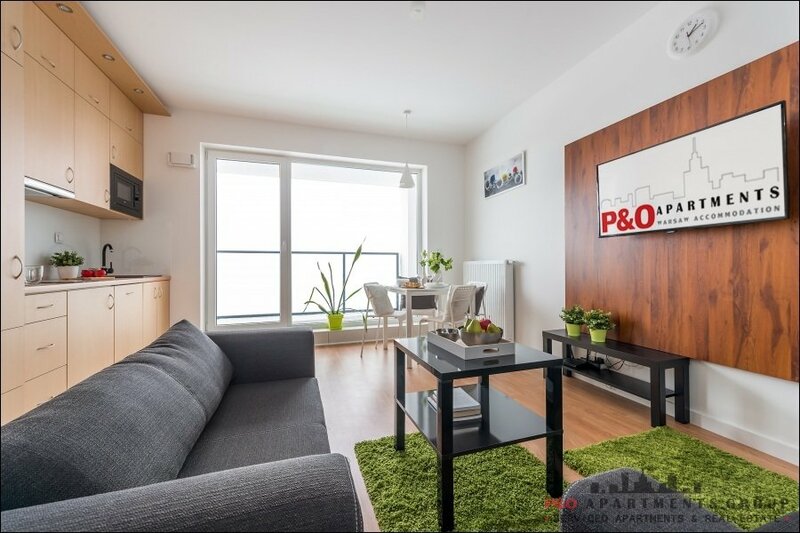 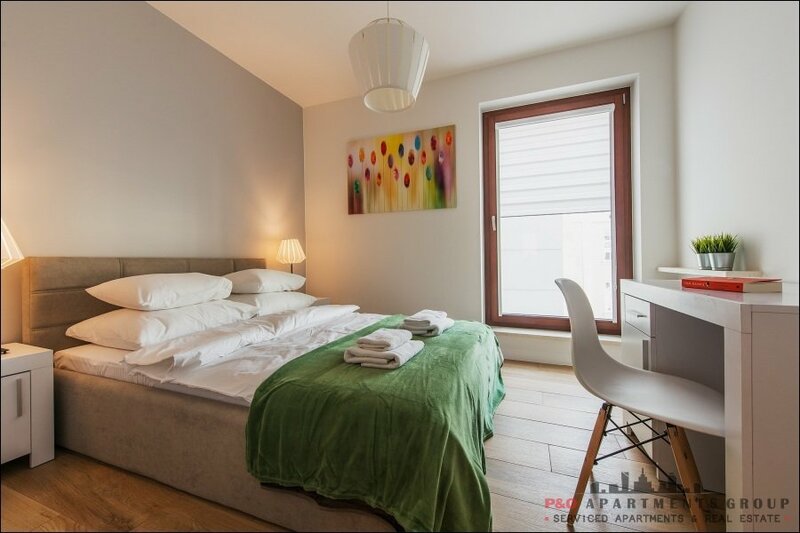 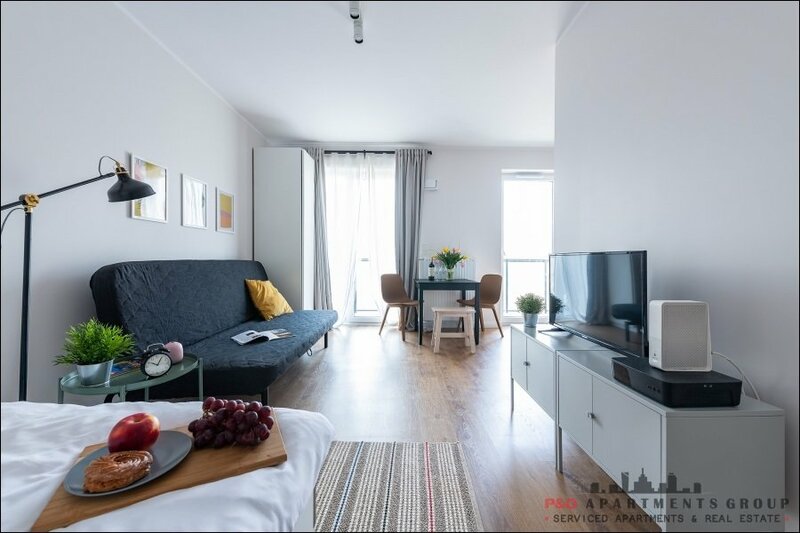 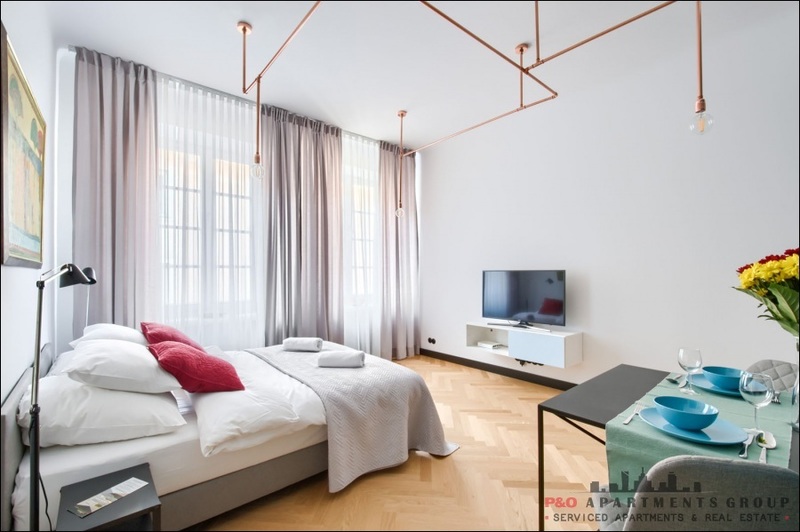 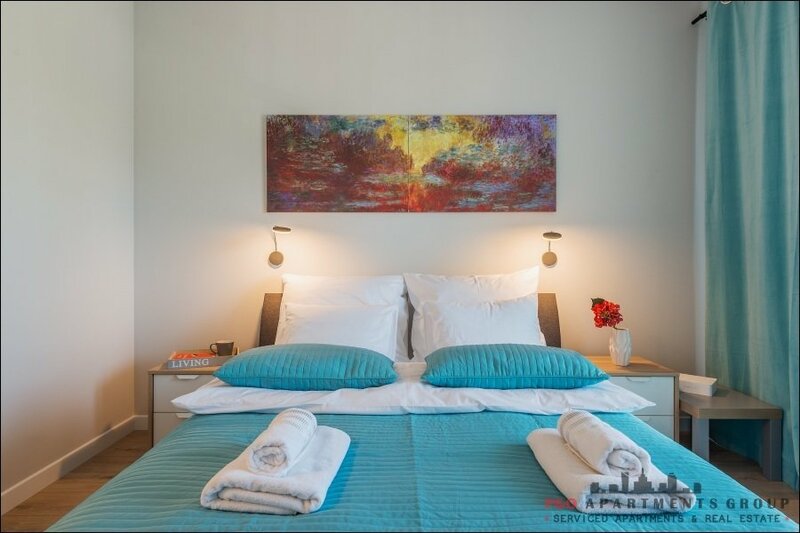 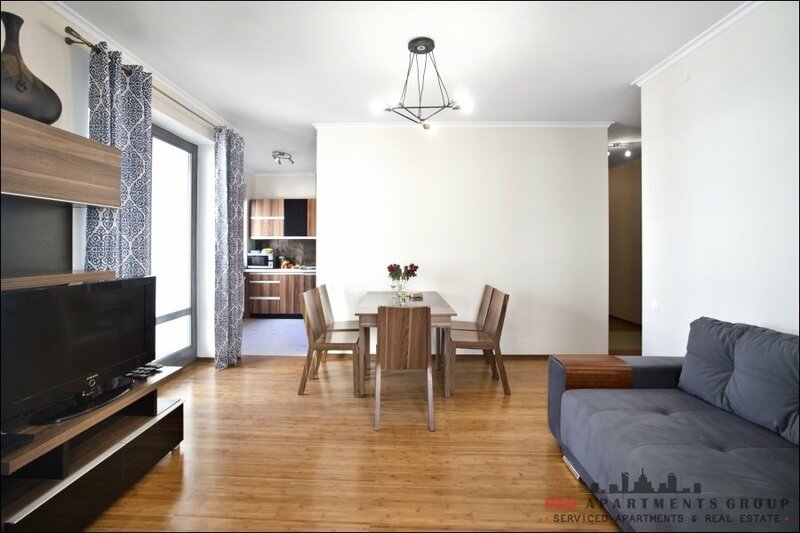 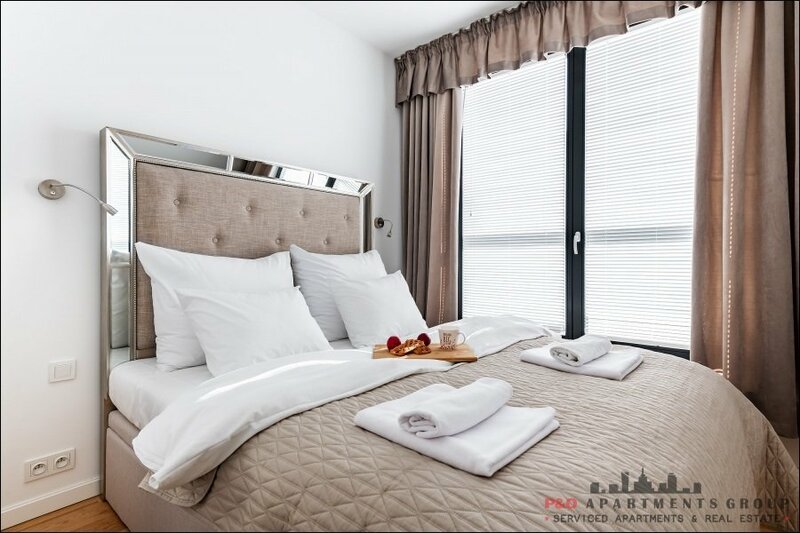 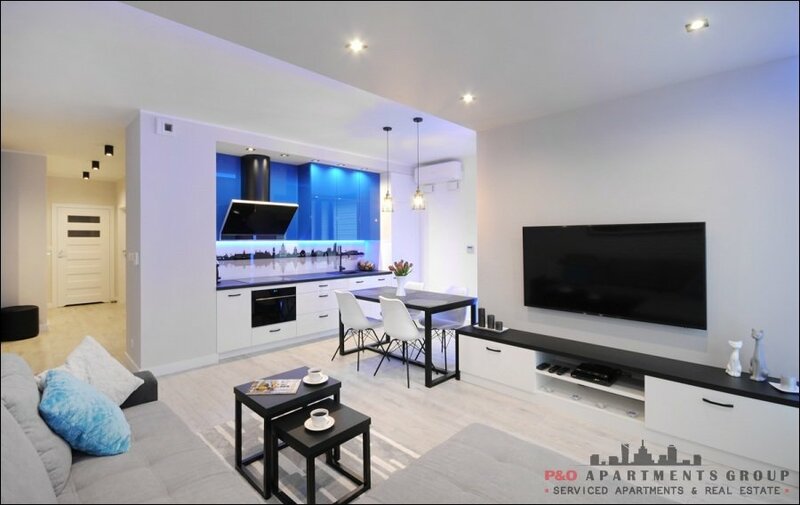 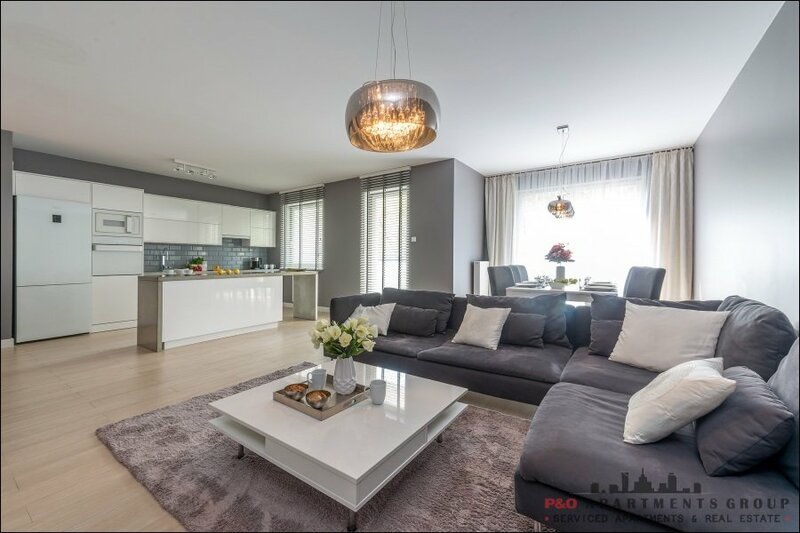 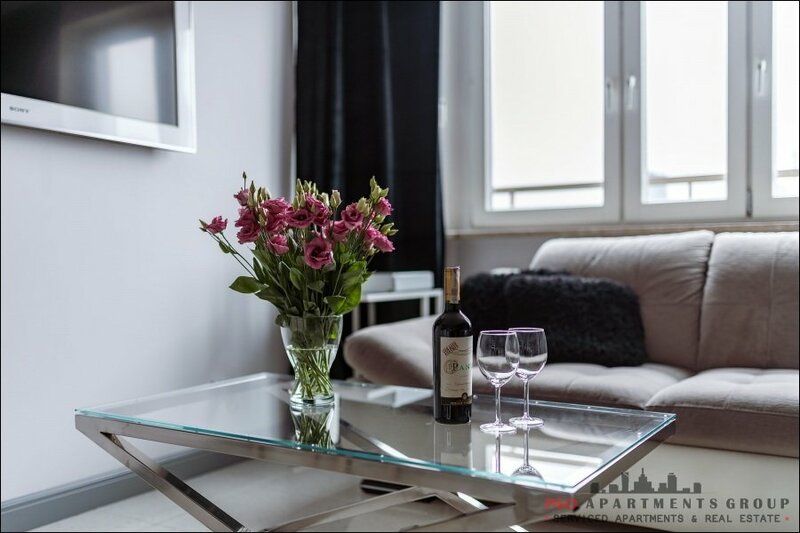 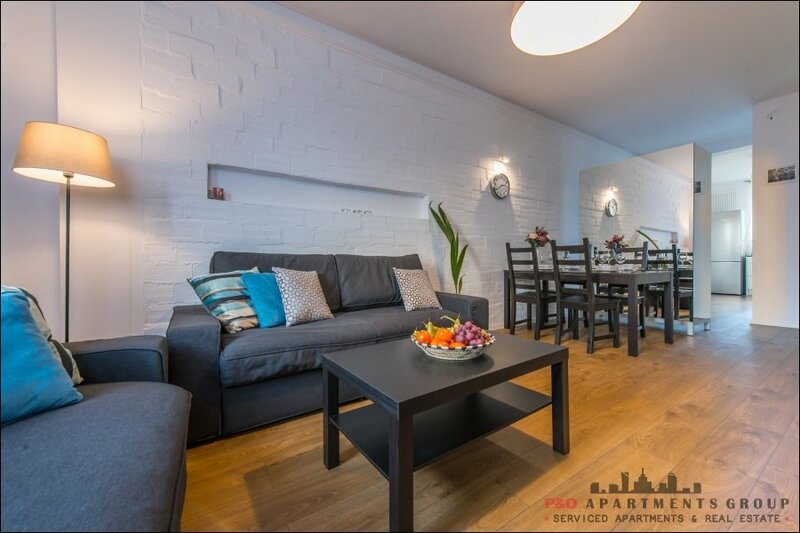 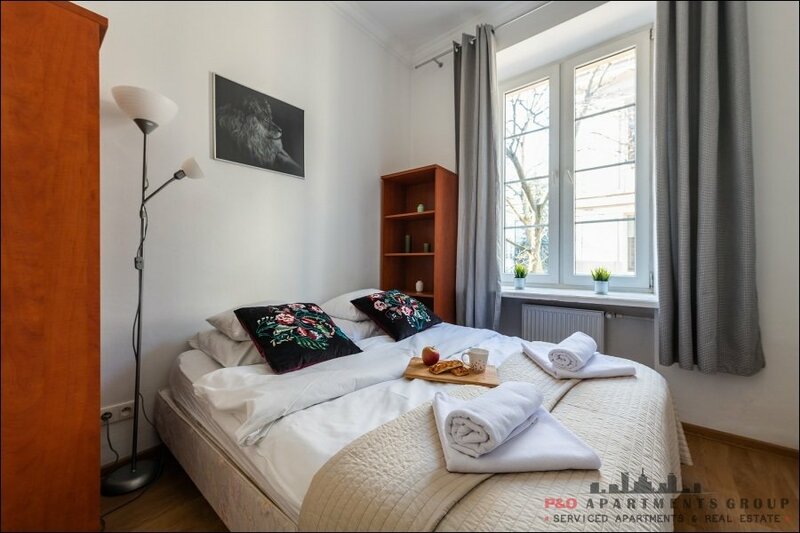 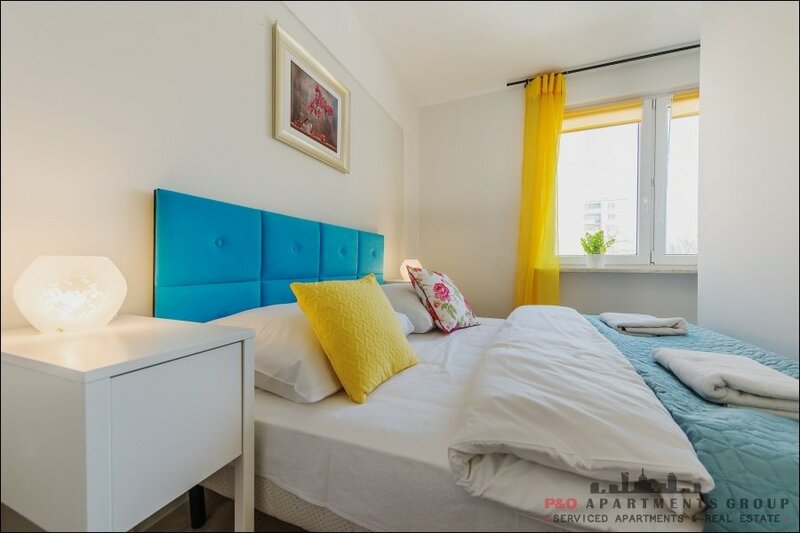 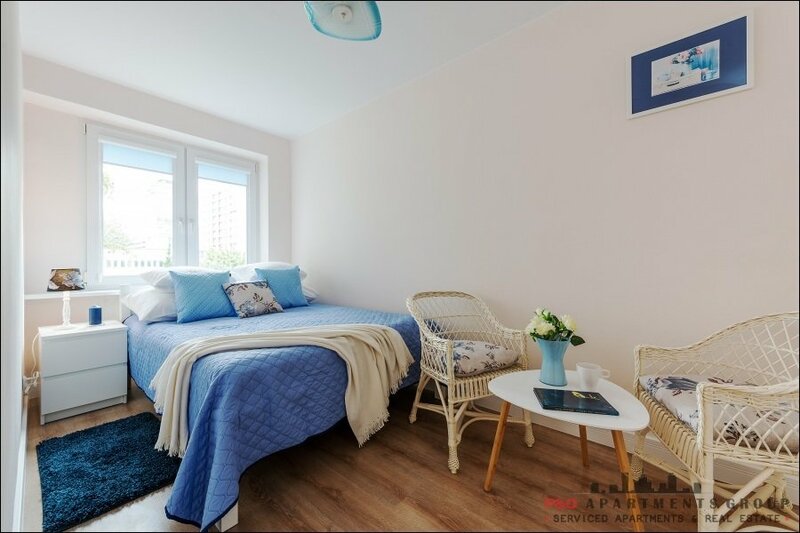 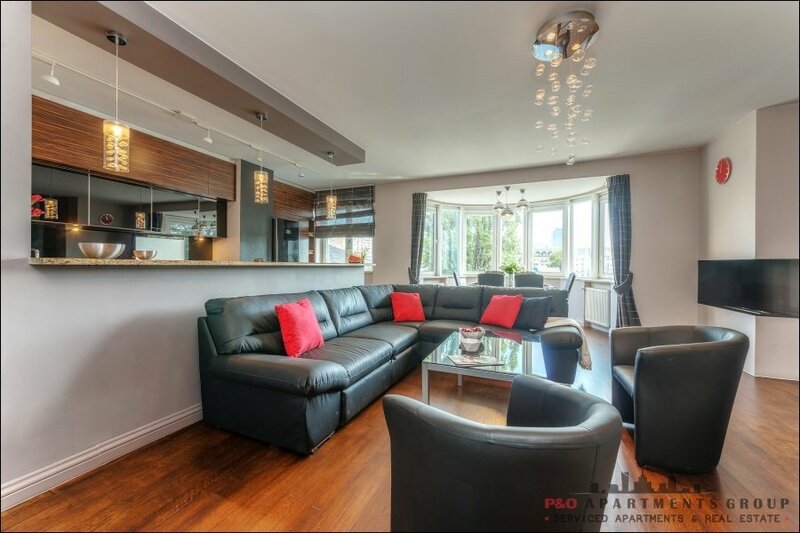 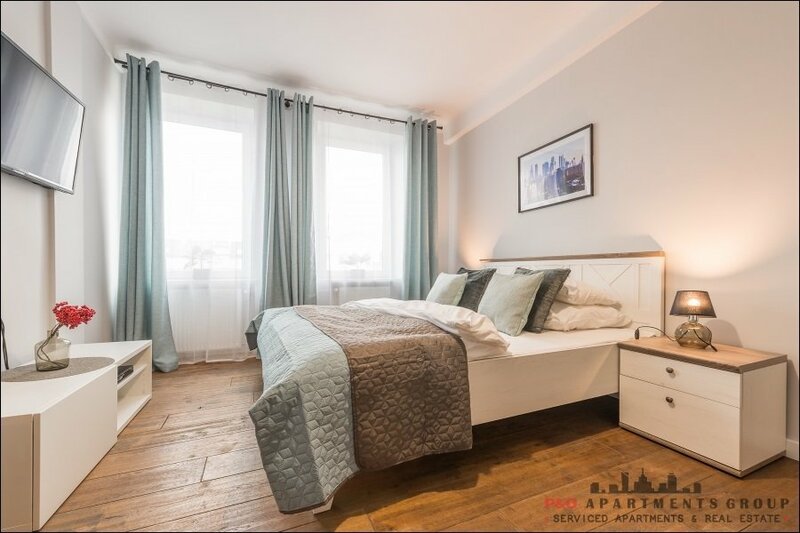 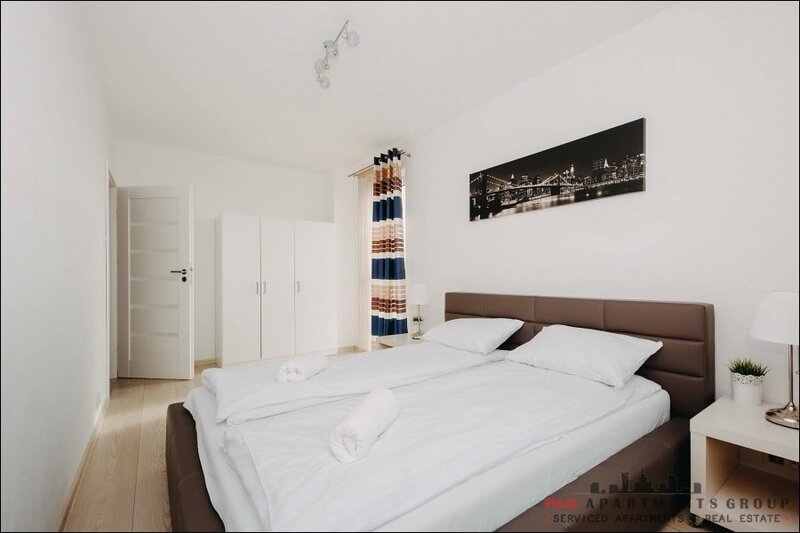 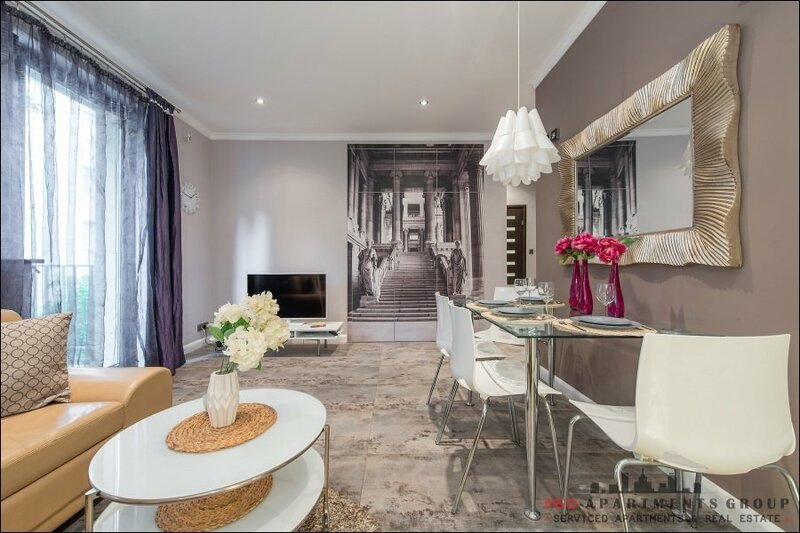 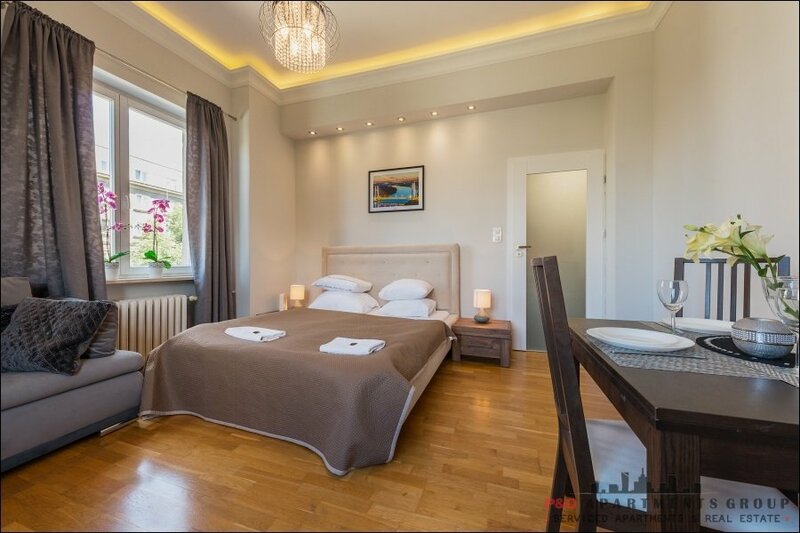 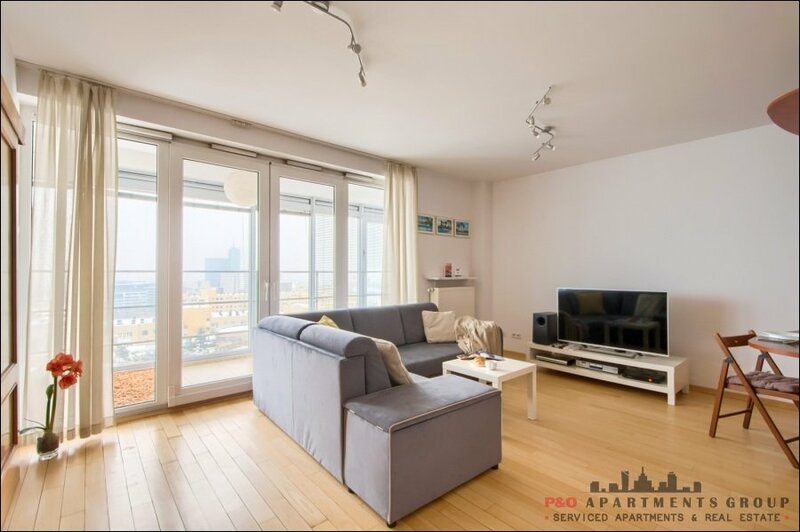 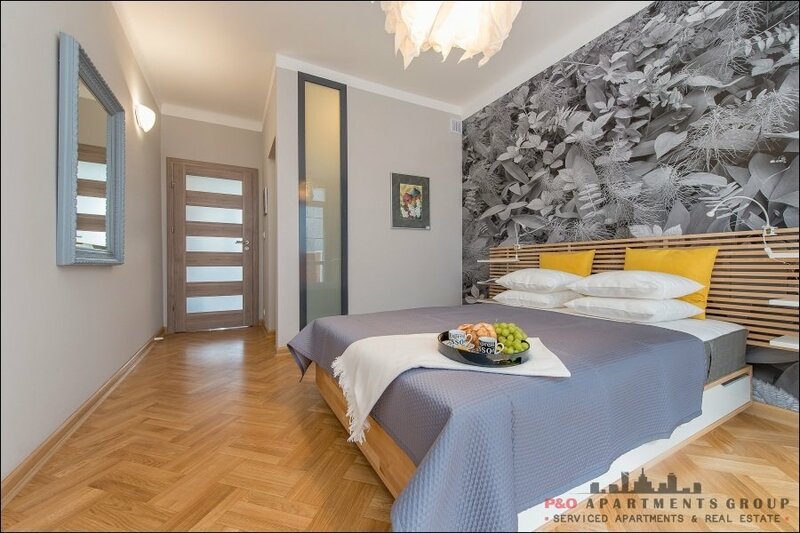 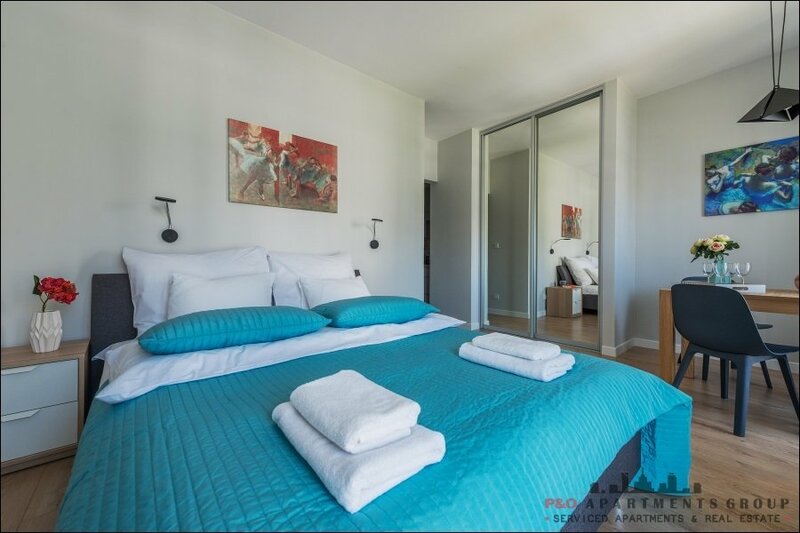 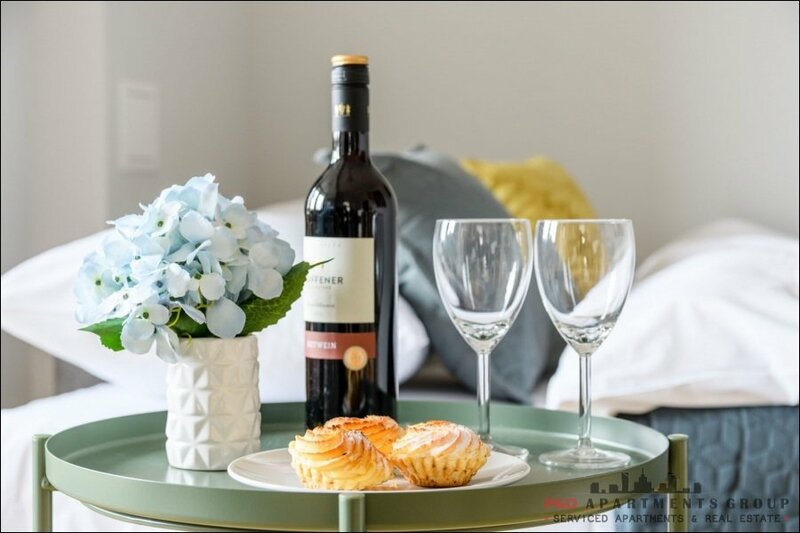 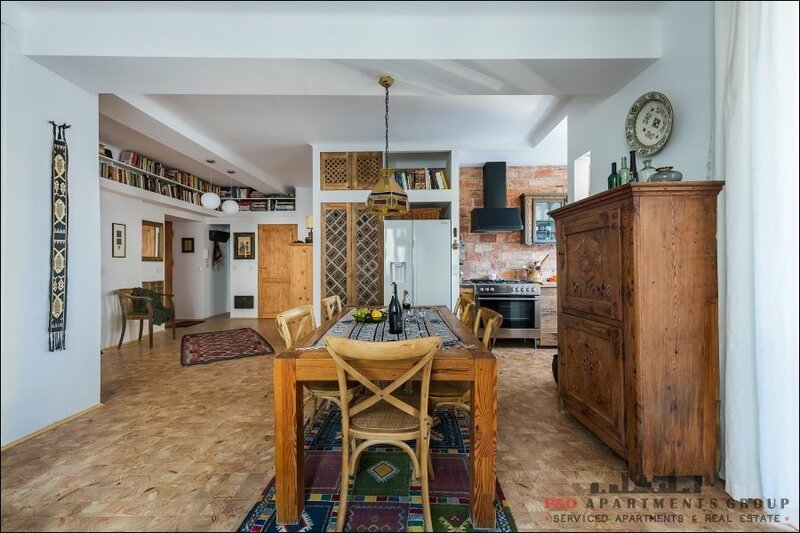 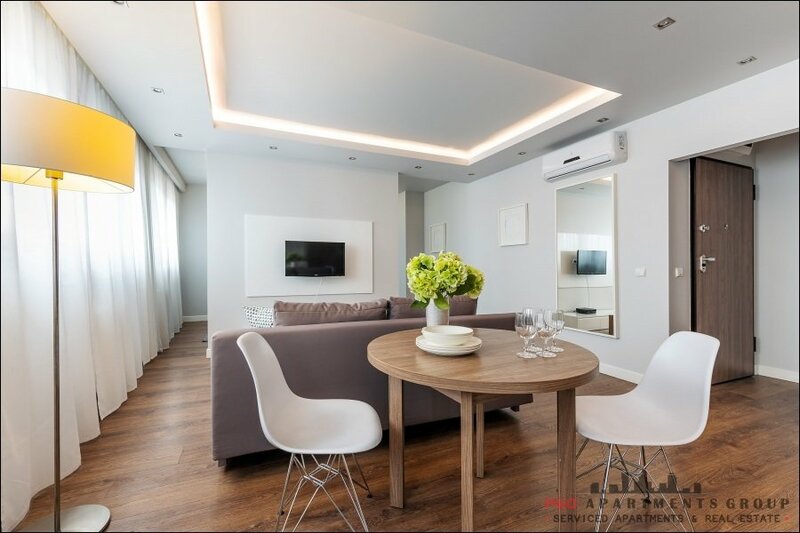 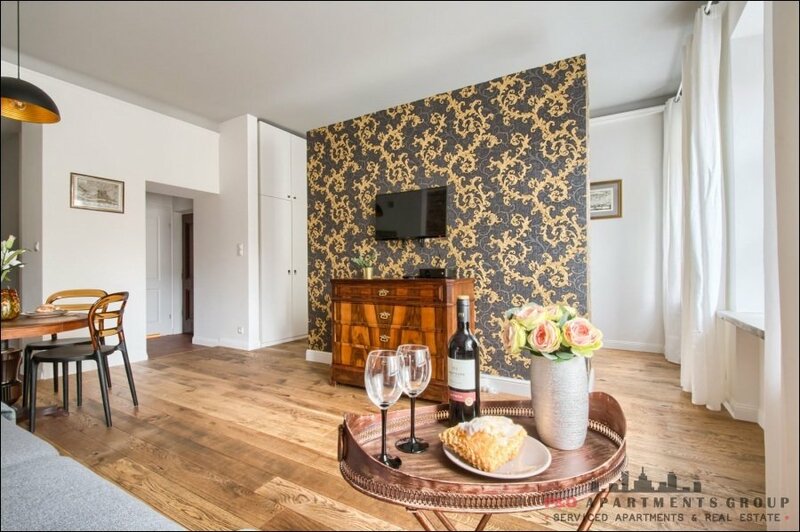 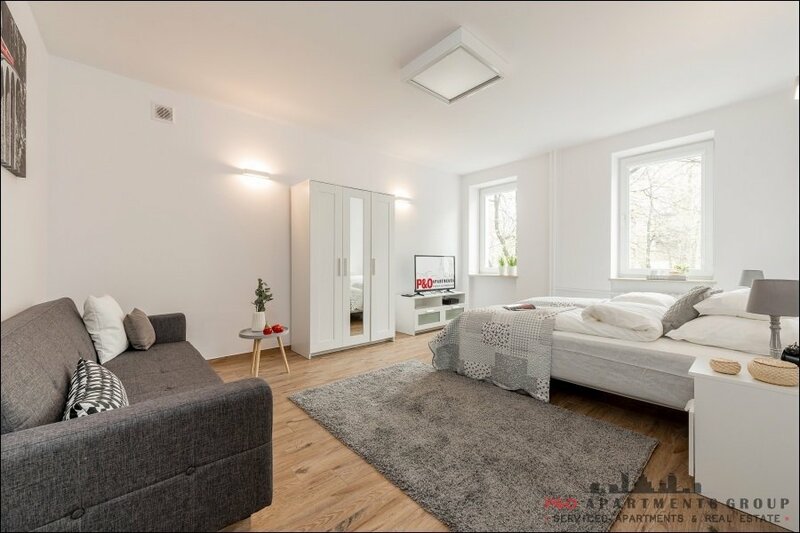 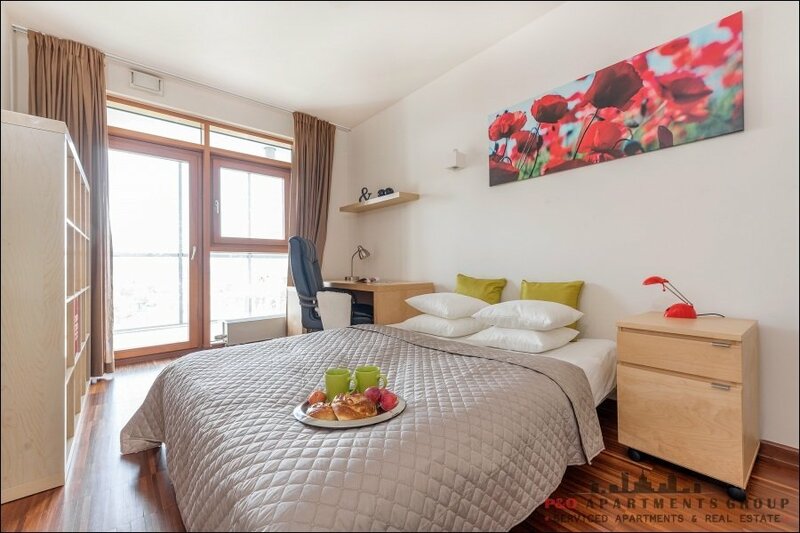 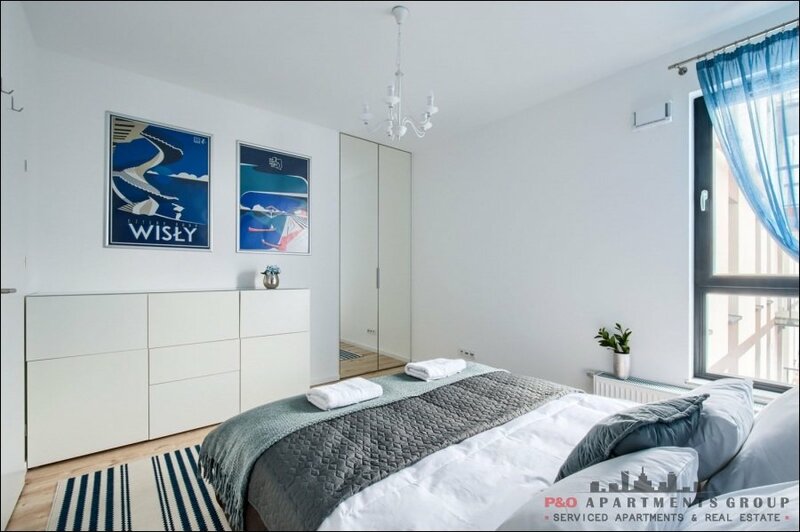 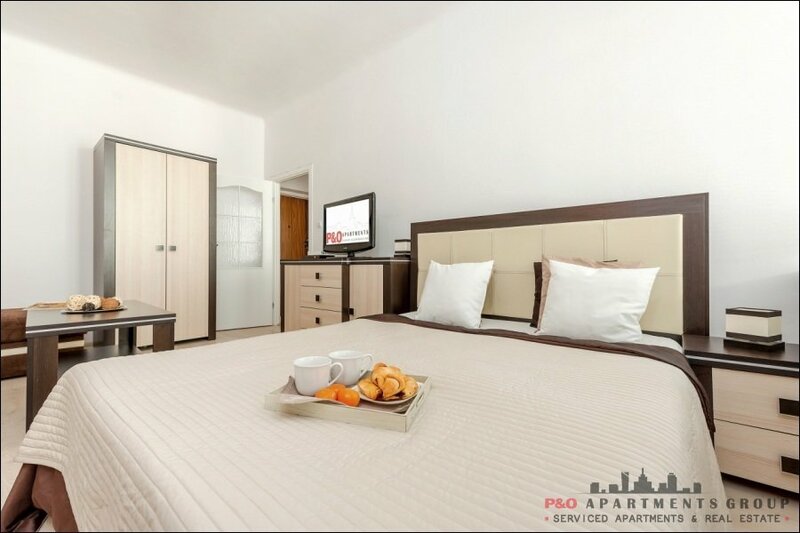 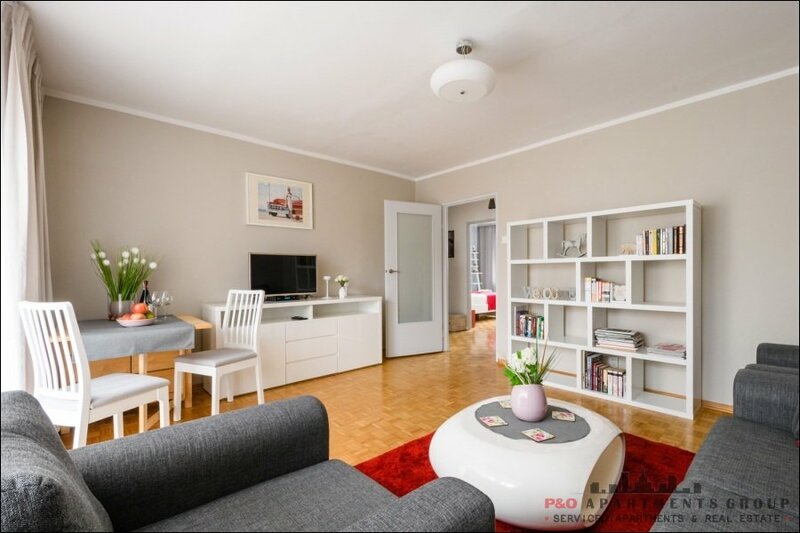 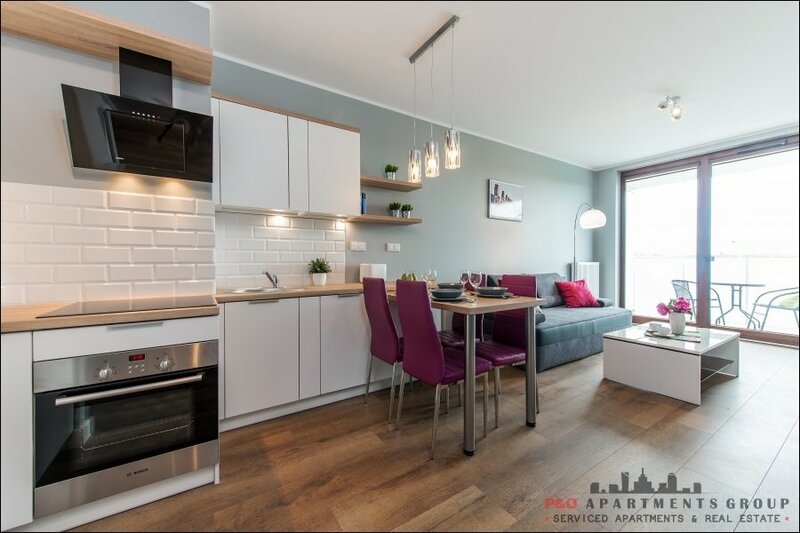 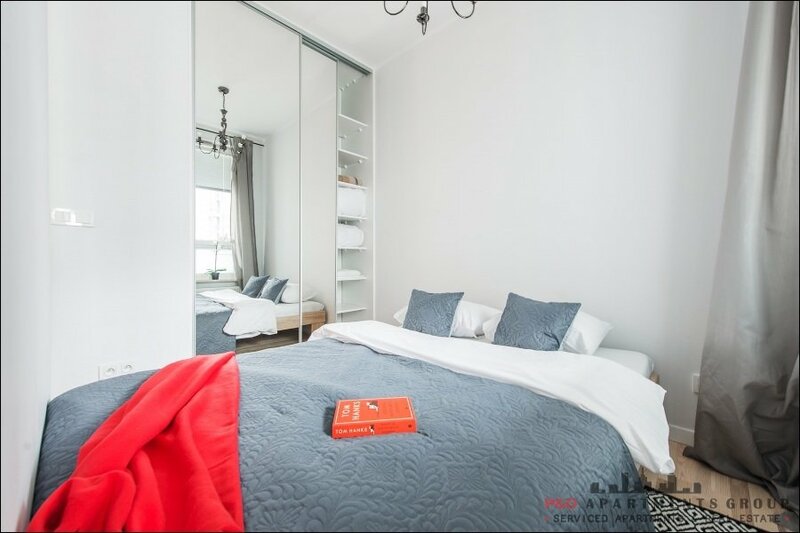 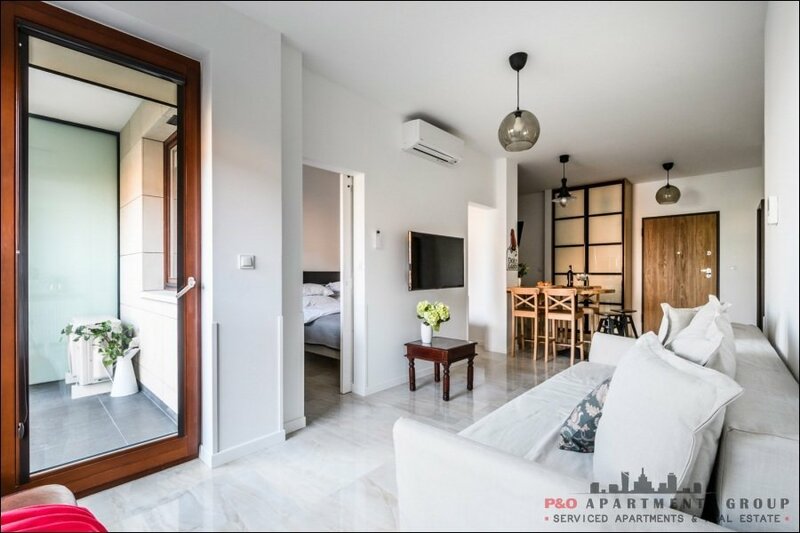 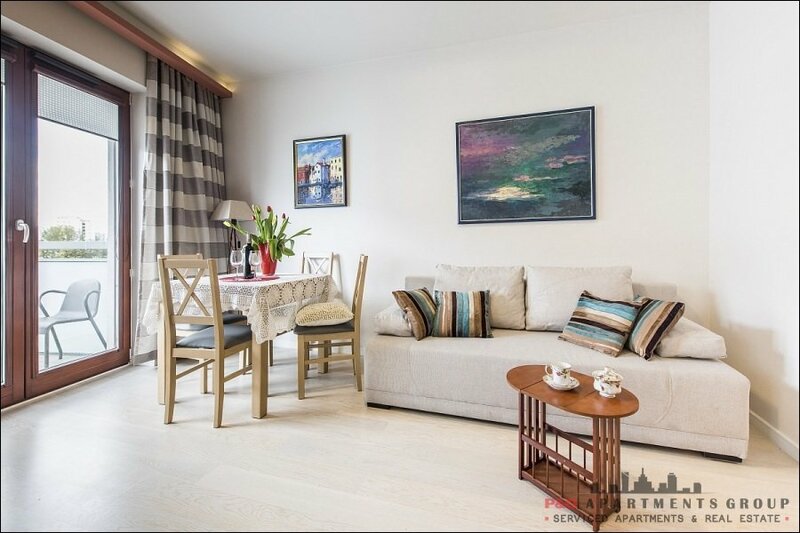 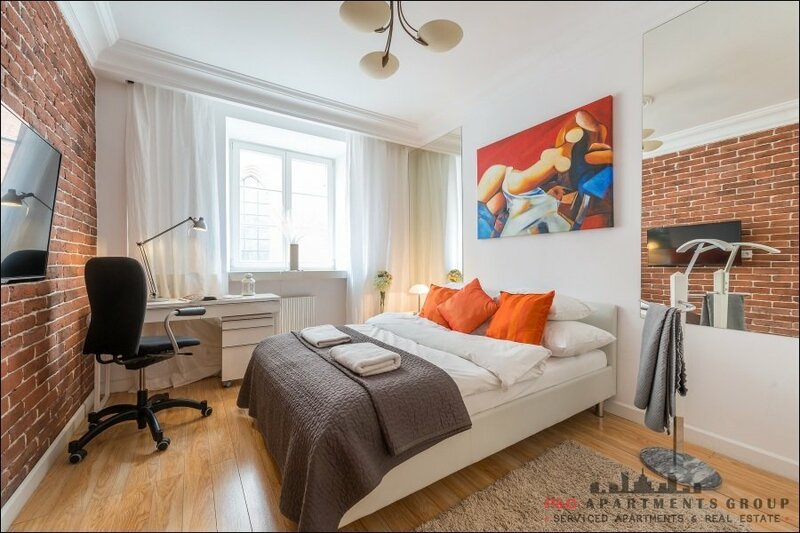 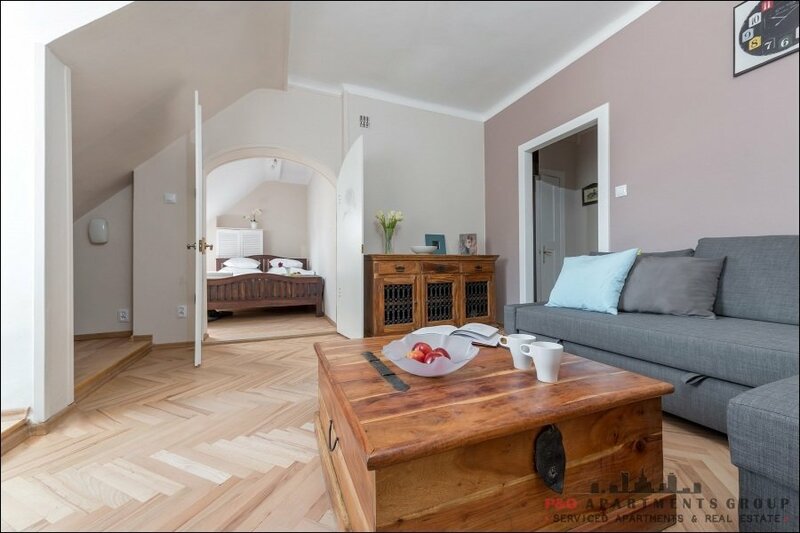 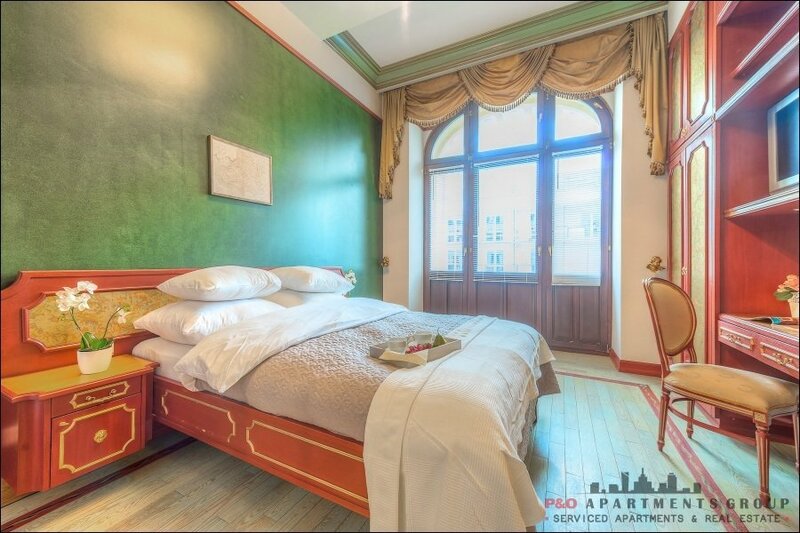 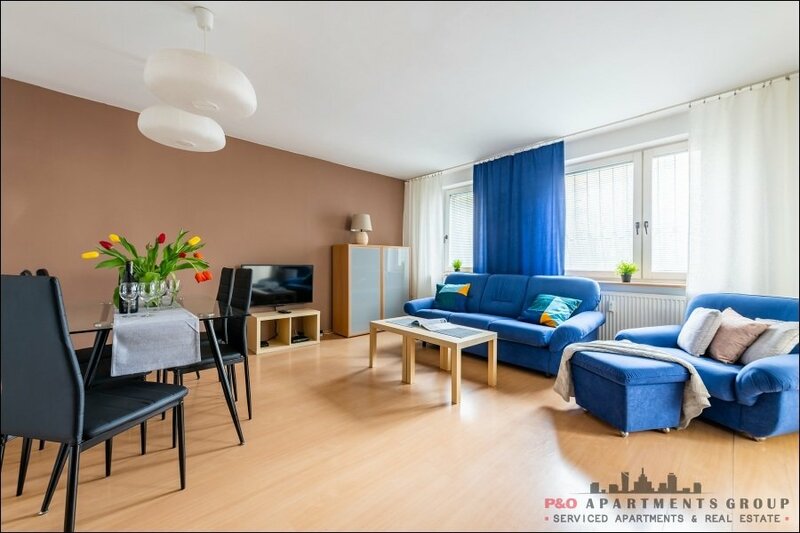 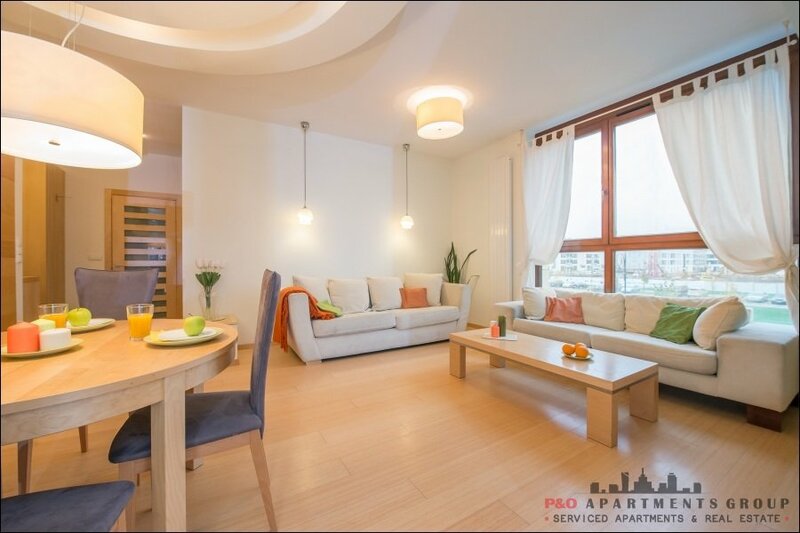 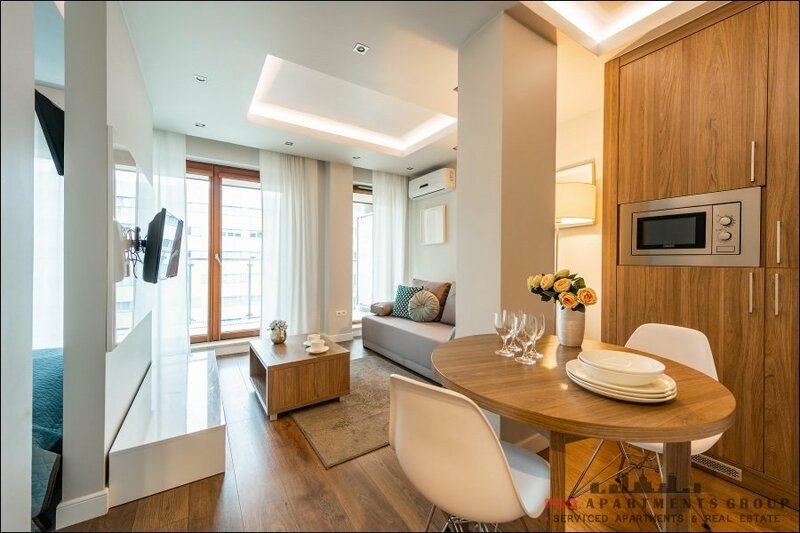 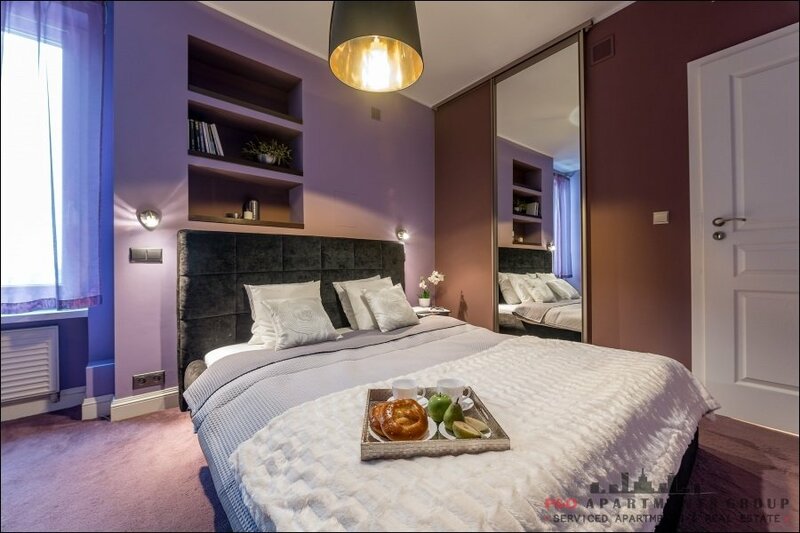 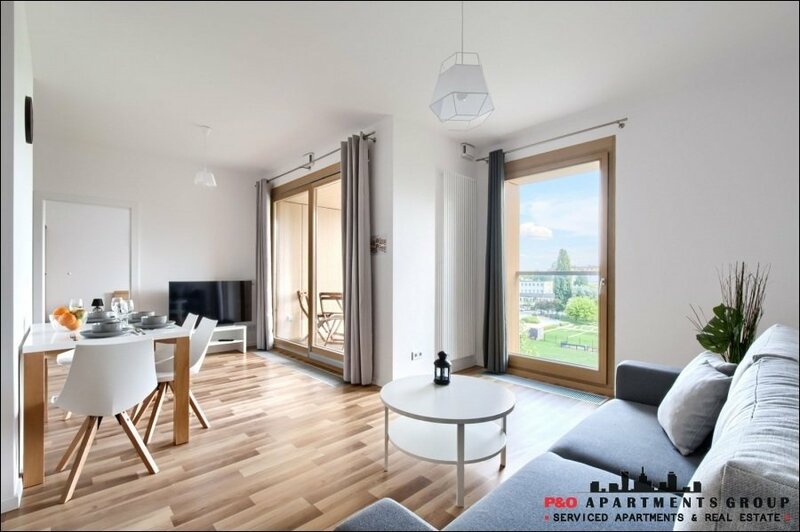 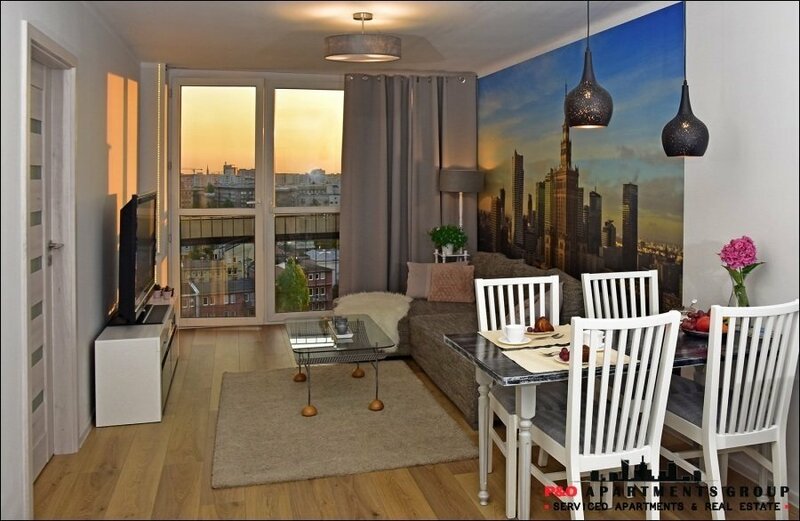 Luxury Apartment in the city center - nearby one of the main streets in Warsaw - John Paul II Avenue and in the vicinity of the Old Town as well as the Arkadia Shopping Mall. 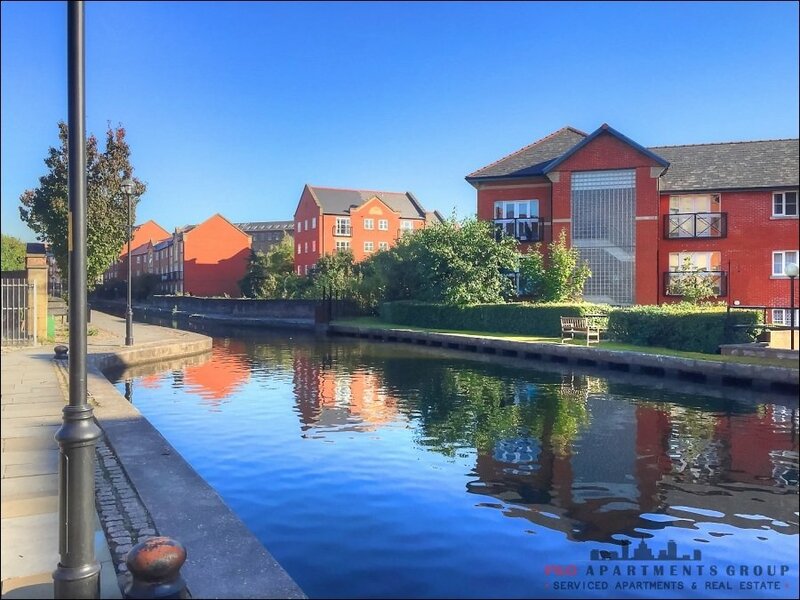 The apartment is located on the 4th floor of the building with an elevator. 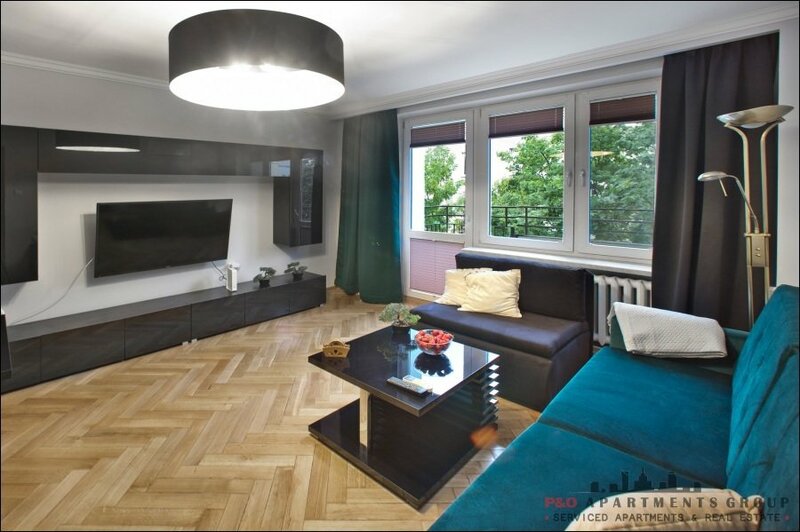 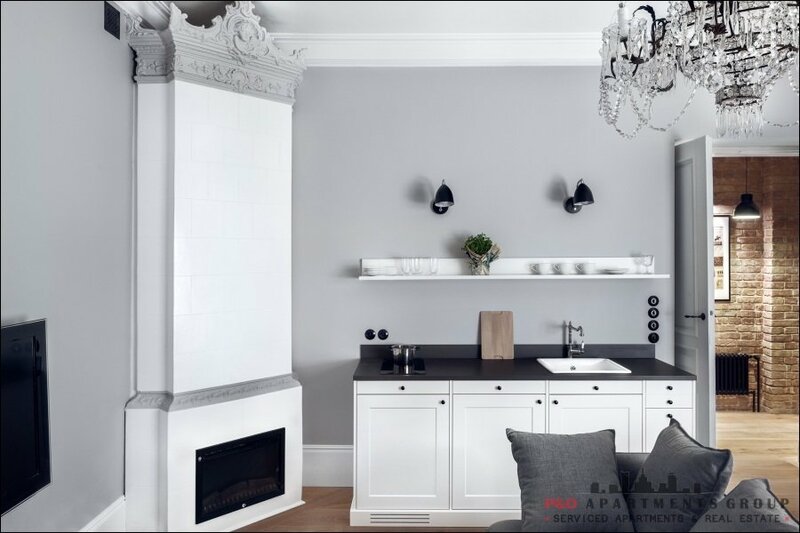 The apartment was furnished with great taste; it is modern and functional. 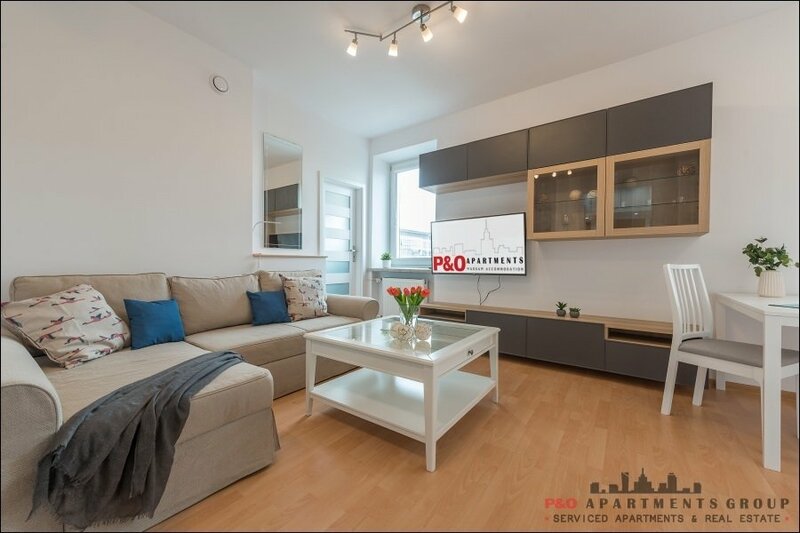 The apartment comes with a living room with double sofa bed, coffee table, flat screen TV with cable channels and table with chairs. 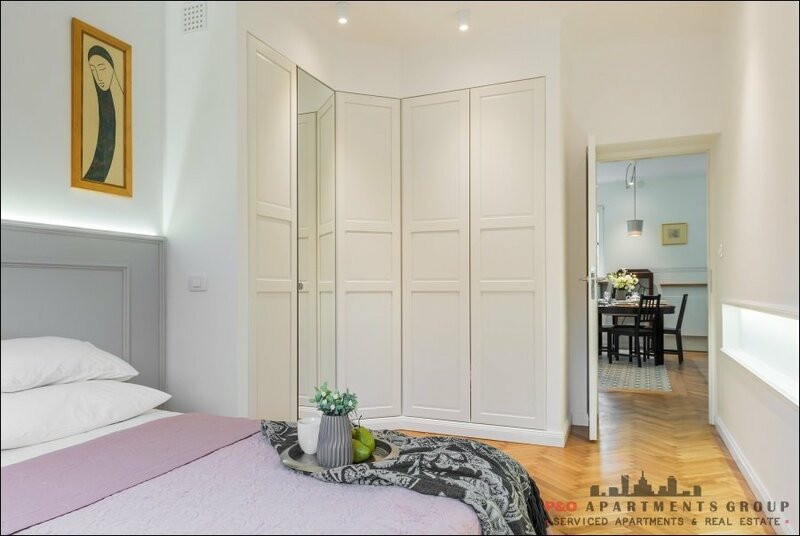 Bedroom has a double bed, wardrobe and bedside tables. 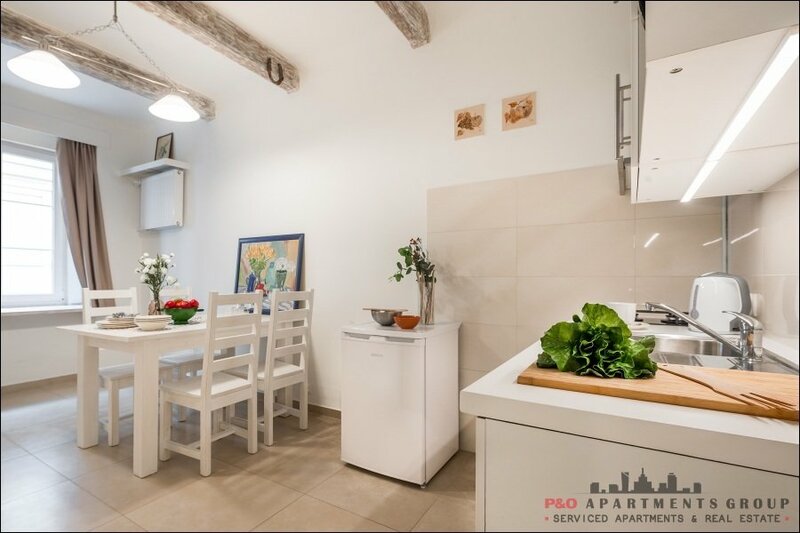 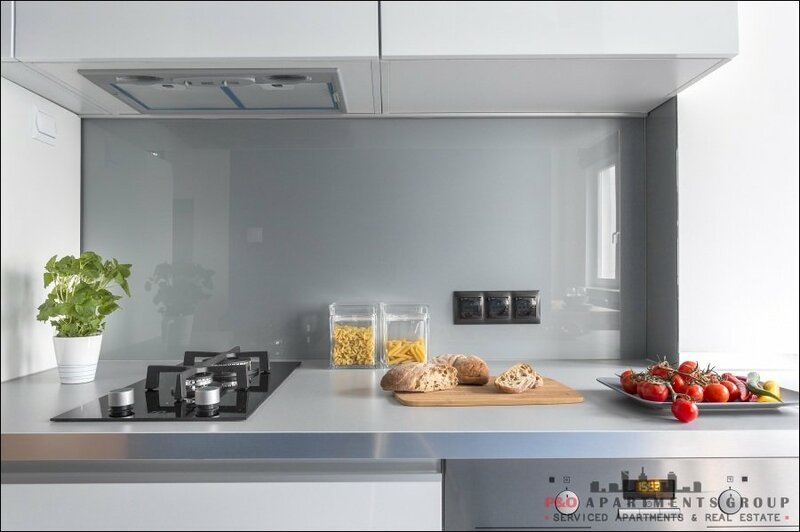 Kitchen is connected with the living room and it is fully equipped. 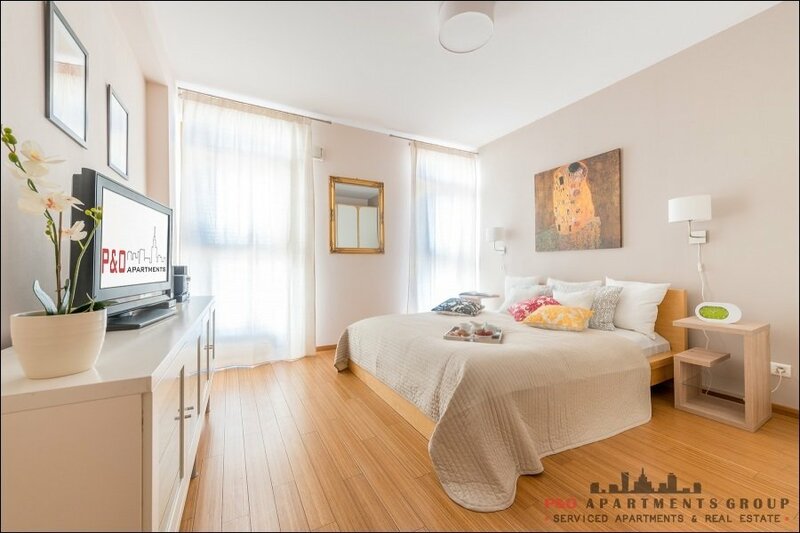 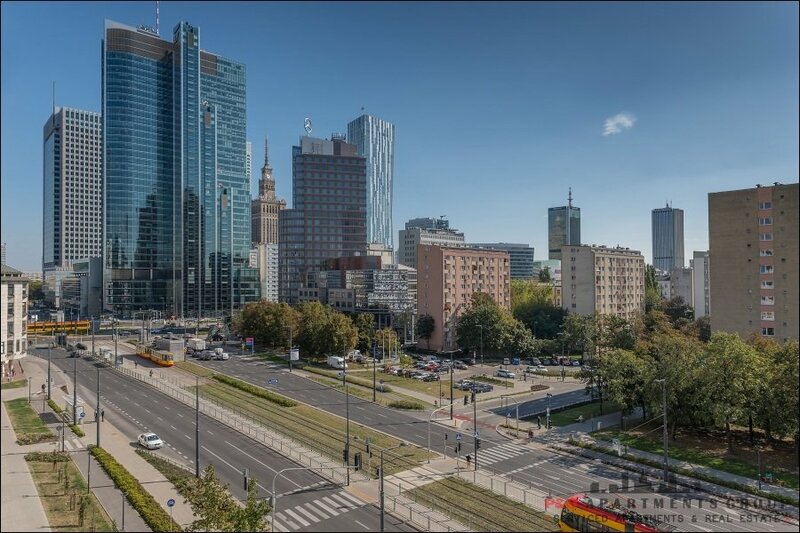 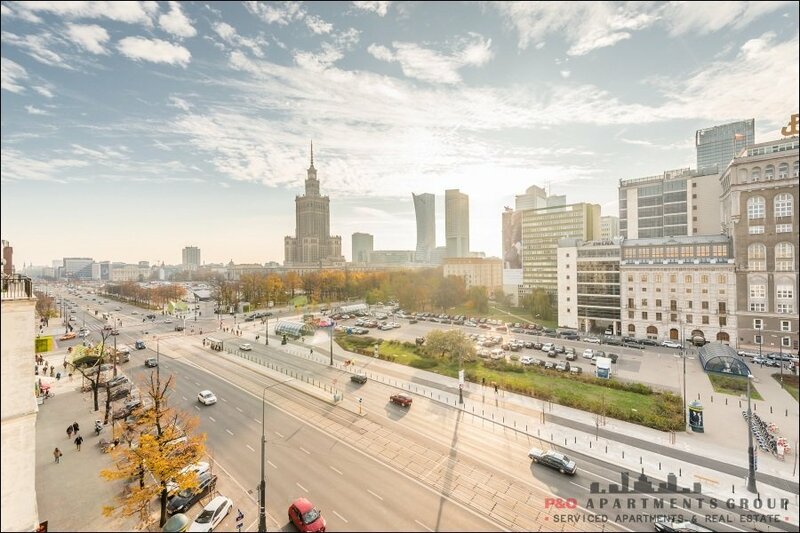 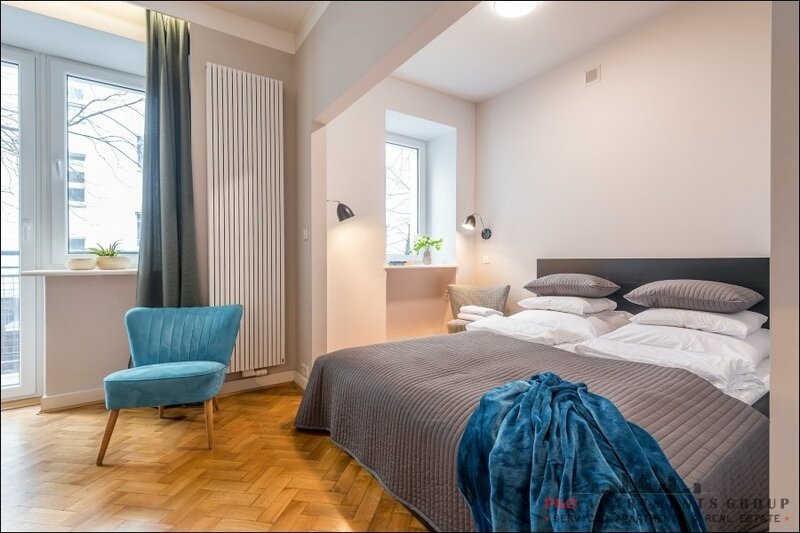 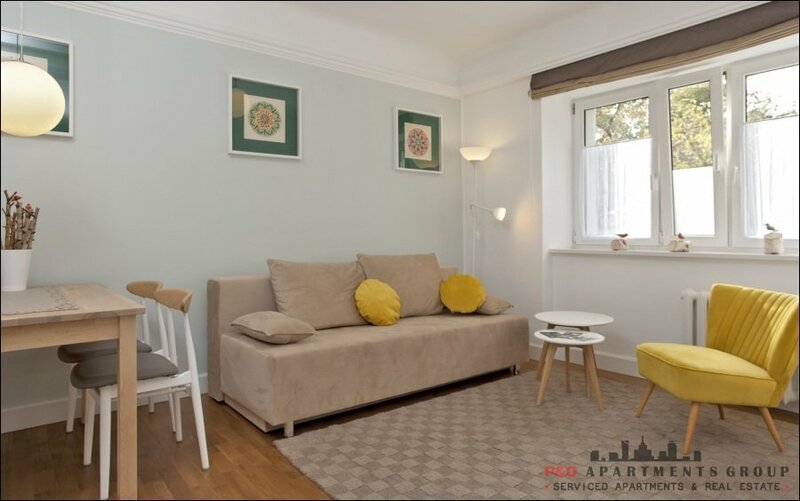 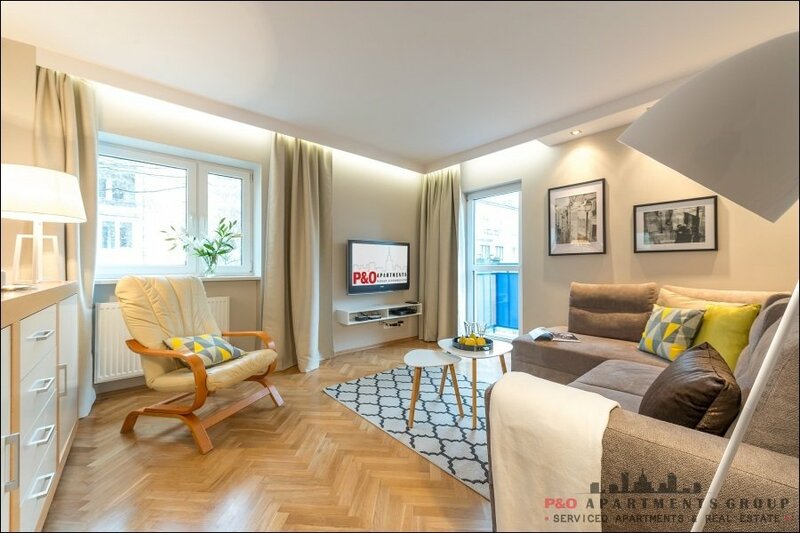 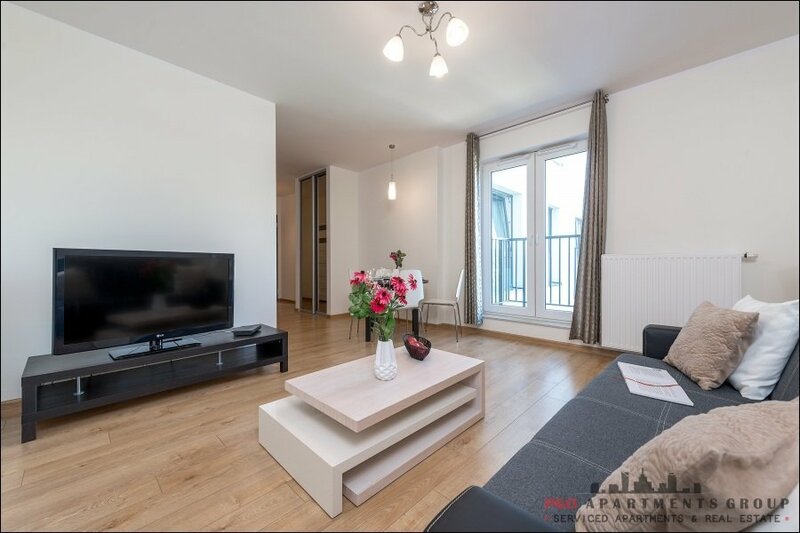 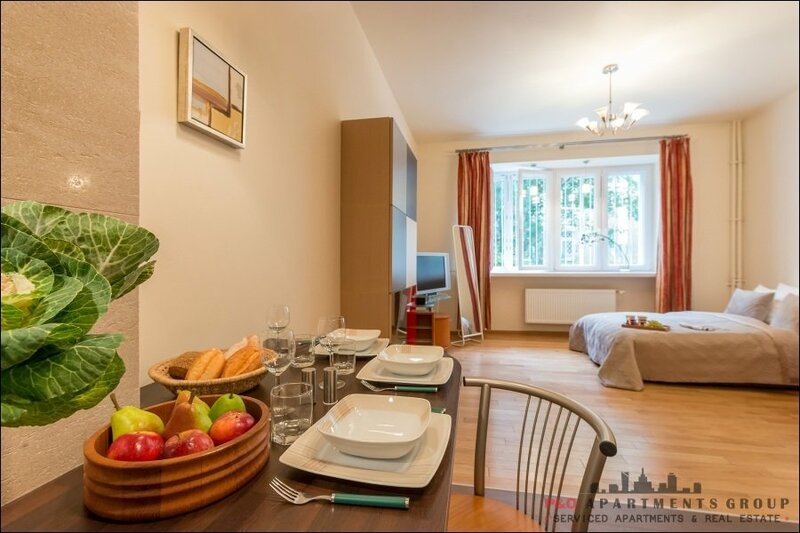 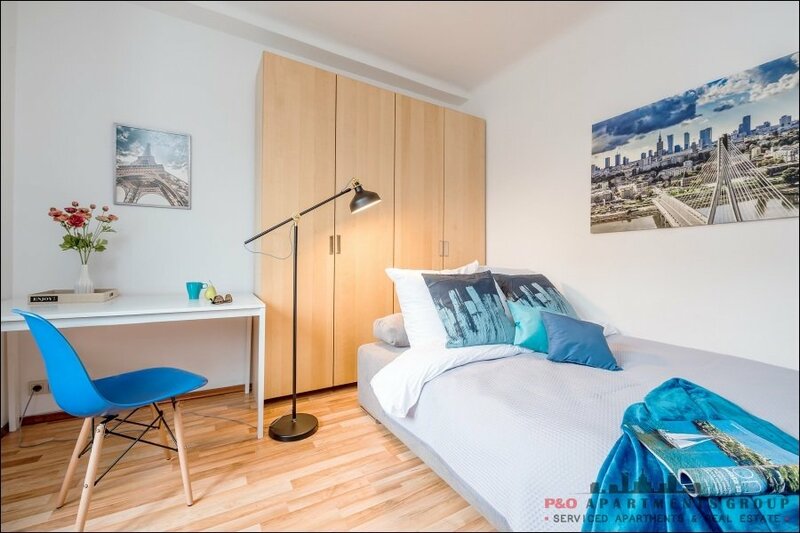 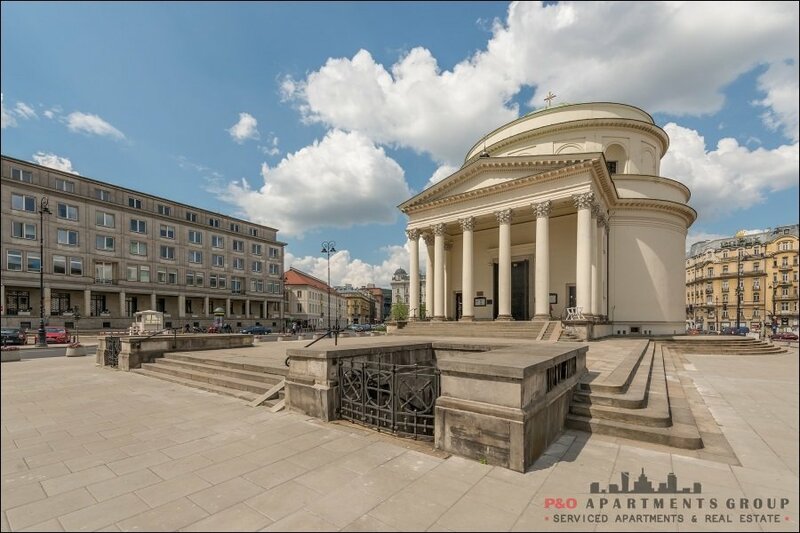 Great location - close to bus & tram stops, the Intraco building and metro station Dworzec Gdanski (very convenient access to Warszawa Centralna Railway Station, Chopin Airport; walking distance to the Old Town and the New Town). 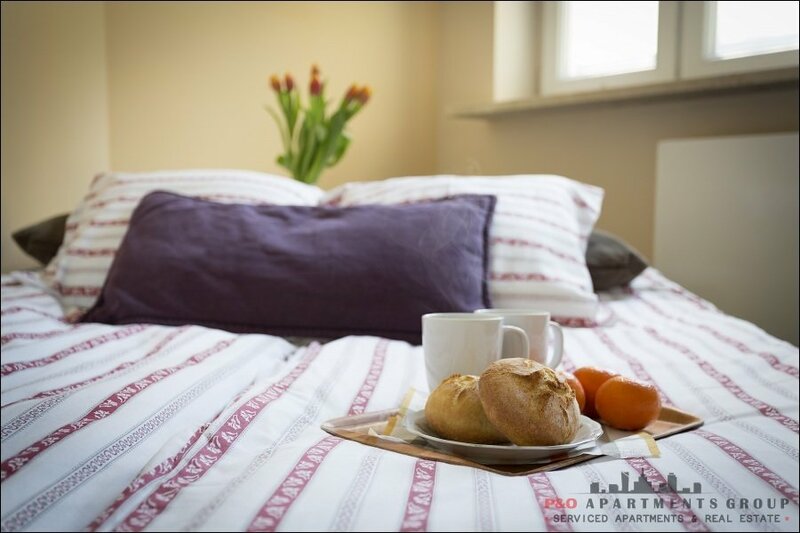 In the same you may find some restaurants, pharmacy, grocery store, coffee shop and beauty salon. 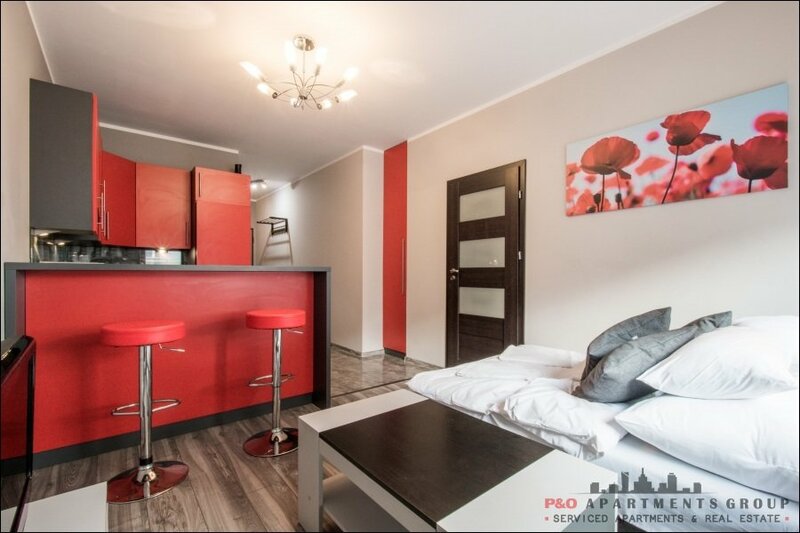 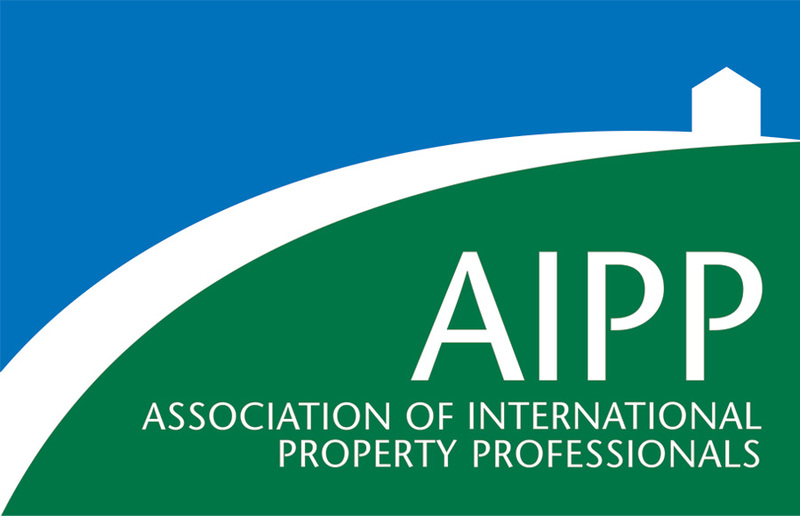 Apartment ideal for business and tourist stays. 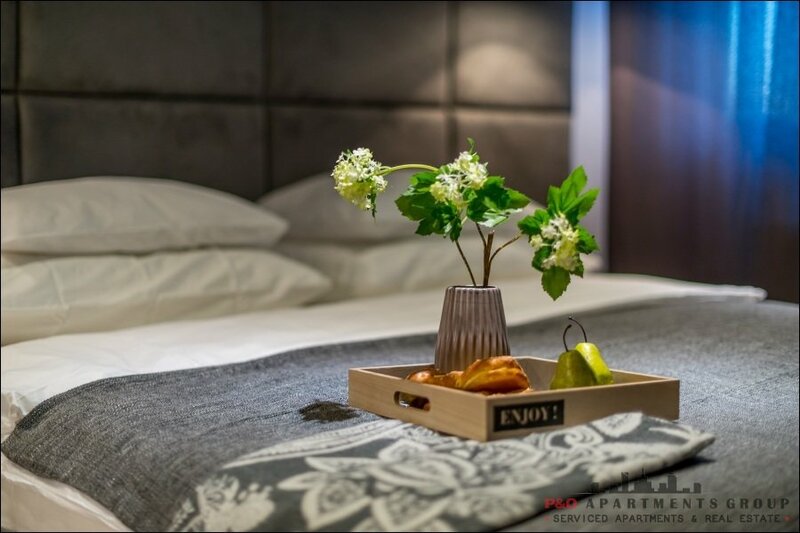 The service includes a set of towels, bed linen and basic toiletries.